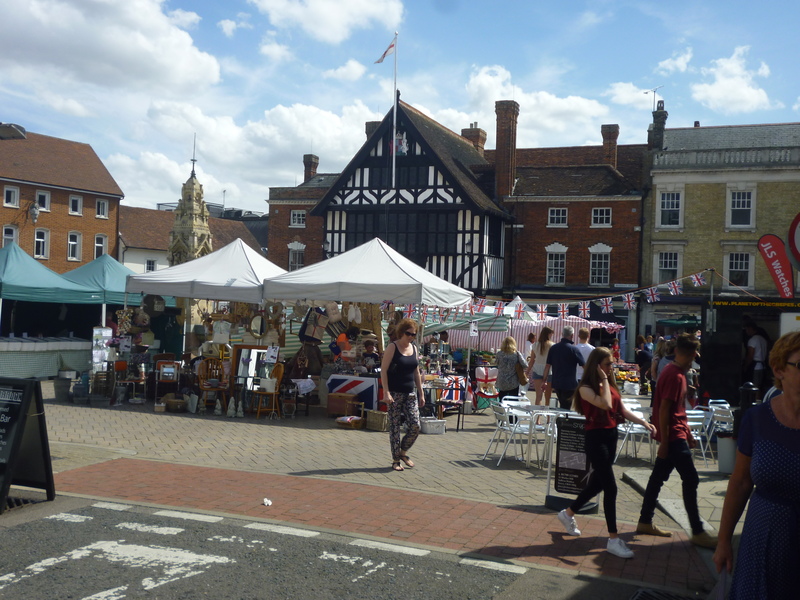 There are a number of reasons why my charming, little home-town of Saffron Walden in North Essex is special, it seems, not least of which are its sausages. 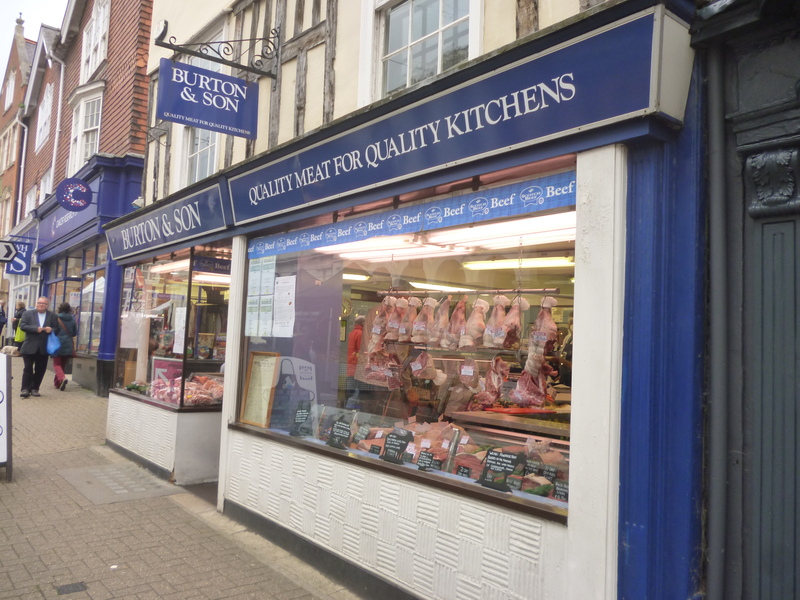 Burtons Butchers’ King Street banger, which comprises 80% Blythburg free range pork as well as a few secret spices, has just been awarded a rare five-star rating by the Sausage Review website, whose members go around the country evaluating the nation’s best and worst. But it doesn’t stop there. A further three varieties on top of the recent King Street celebrity have also been entered into that culturally vital event, the British Sausage Week competition, which will be judged by Michel Roux Jr, Michelin-starred chef and owner of London’s upmarket Le Gavroche restaurant, at the start of November. But its superlative sausages aren’t the only reason that Saffron Walden has been hitting headlines lately. Another is its world-class concert hall, which was built from the ground up with state-of-the-art acoustics in mind and is already gaining a reputation for itself. Growing numbers of people from as far away as London are now making the hour-long train journey from Liverpool Street in order to park themselves on one of its 730 really quite comfy seats to listen to classical music – although some might argue it’s shame that its remit is so narrow given the quality of the space. Anyway, the Saffron Hall, as it’s known, was opened in 2013 at the 2,000-learner-thronged County High School while my Beloved and I were away in South Africa. This momentous event occurred following a £10 million donation from the Yellow Car Charitable Trust on behalf of a rich, local benefactor, who apparently loves classical music and wanted the children and local community to do likewise by providing them with access to outstanding facilities. A particular feather in the Hall’s cap though has been the fact it managed to snare the well-regarded Angela Dixon, former head of music at the Barbican Centre in London, as its chief executive. An Essex girl, having been brought up in Benfleet and having lived in the village of Whittlesford for years, she apparently had had enough of chasing around the world. And so when a local job came up, she jumped at it. And her international connections have certainly helped in attracting world-class performers to what, in the early days at least, amounted to an untried and untested venue. Now though everyone from internationally-acclaimed Russian conductor Vladimir Jurowski with the London Philharmonic Orchestra in tow to top-flight violinists Maxim Vengerov and Nicola Benedetti have strutted their stuff there. Somewhat embarrassingly, however, it seems that the rest of the town hasn’t quite caught up with its new-found reputation as a destination for the glitterati. In a place that has never knowingly kept late hours, the rumour goes that when staying at a local boutique hotel complete with rather overpriced gastro-pub in the centre of town, Benedetti had to go to bed hungry after a concert when she was told the chef had upped sticks and gone home. So let’s hope they sort that particular little issue out before she comes back for a revisit in November. Anyway, moving swiftly on, it seems that the Hall was lucky enough to receive three years of funding from Yellow Lorry to see it through until the end of the 2017 season – by which time it really needs to have become as self-sufficient as possible. Things appear to have got off to a good start though as the venue apparently generated £280,000 last season and so good luck to it – it certainly can’t do Saffron Walden any harm in tourism terms at the very least. Because this lovely old town, which incidentally is constantly being named as one of the best places in the UK to live and swiftly becoming a commuter-belt haven for ex-Londoners, really does have quite a lot to offer in that department. If you’re into architecture, for instance, it’s a complete dream as much of the centre has been preserved in aspic. The story goes that local grandee Lord Braybrook, whose family seat was the now English Heritage-run mansion Audley End House, wasn’t too keen on having the London-to-Cambridge train line coming into Saffron Walden and spoiling his nice agricultural idyll – and so the Industrial Revolution, and its concomitant modernisation, completely passed it by. As a result, you’ll find genuine buildings that are everything from late Georgian to Victorian in origin, with a good few medieval ones thrown in for good measure. A further plus is the widespread presence of a particular kind of decorated plasterwork traditional to East Anglia known as pargeting. 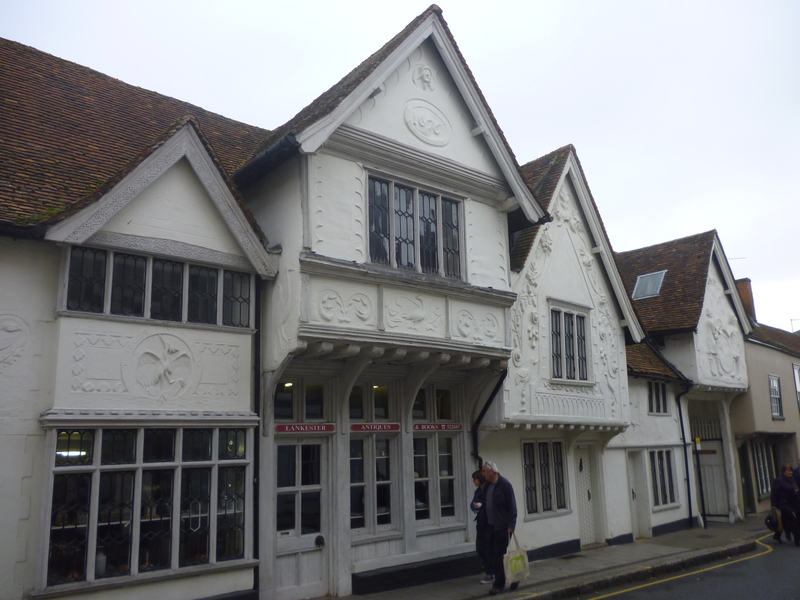 Designs range from simple geometric surface patterns to elaborate sculptured flowers and figures of people and animals – fine examples of which can be seen at the Sun Inn where Oliver Cromwell is said to have resided during his 19-day stay in the town in May 1647. At the time of his sojourn at the heart of the English Civil War, he was in the middle of talks to try and reach a settlement between Parliament and his New Model Army apparently. One of the town’s oldest buildings, however, is the imposing Church of St Mary the Virgin, which takes the crown for being the largest parish church in Essex. Dating mainly from the end of the 15th century and dominating the skyline, it was built using wool money – the area’s major trade for centuries – very patently to show off the wealth of this still well-heeled town. 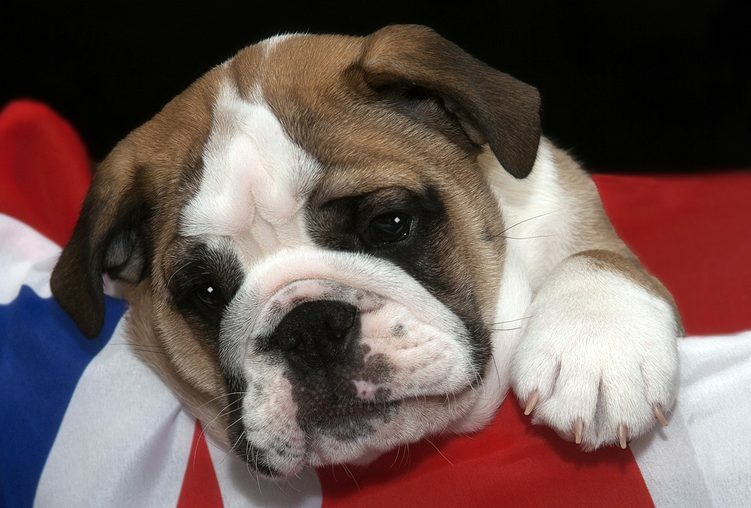 In fact, even its name is linked to wool production. Originally know as Chepyng (an Anglo-Saxon word for Market) Walden when it was granted a charter around 1300, the town started growing saffron crocuses in the 16th and 17th centuries to dye its own wool and keep prices elevated. But it also made lots of money on the side selling this precious commodity as a condiment, an additive to medicines and perfumes – and even as an aphrodisiac. Anyway, as the saffron industry started petering out by the end of the 18th century, it was replaced by malt and barley and Saffron Walden morphed into a Quaker town. The most influential family then were the Gibsons, who helped found Barclays Bank and contributed to building a number of iconic buildings in the shape of a distinctive town hall and museum. And there are still remnants of that legacy to this day in the shape of a Friends Meeting House in the High Street and a private Friends’ School, which has seen such luminaries as Russian dictator Josef Stalin‘s granddaughter Olga Peters and Tom Robinson of Tom Robinson Band fame pass through its doors. Other novel things that the place is known for, and for which it is actually unique in the UK, meanwhile, are its two historic mazes – a restored Victorian yew hedge one in the Grade II listed Bridge End Gardens and an ancient turf maze on the still quite extensive Common. Remarkably the turf maze is the largest example of its kind in the world and is one of only 11 to survive in Northern Europe – eight in England and three in Germany. And they’re important in social history terms because, since medieval times, they’ve been used for religious purposes and as part of community festivities such as village fairs. According to the medieval Christian worldview, for instance, mazes represented the journey of the human soul, in which the goal was clear but the path to achieving it confusing. So it was considered an act of devotion to walk them in meditation and prayer – something that, in an unspoiled, rural idyll like Saffron Walden, it’s still perfectly feasible to do to this day. Previous postBritain’s black music: Is integration skin-deep? A great and interesting article. Especially that Saffron Walden just hasn’t caught up. A matter which seems to be ignored by many. Which interestingly affects the Econmic viability of the town and is a threat to all it currently has to offer. Yes – and to it’s independent shops in particular, which is partly why people come and visit in the first place, on top of its prettiness, history etc…..
Halloween trick-or-treating: Who’s fault is it anyway?